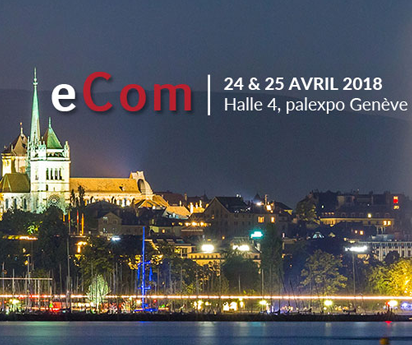 Ranking Road is proud to be a Bronze sponsor of the eCom exhibition in Geneva, which will be held on 24 and 25 April 2018. Our participation in this international meeting dedicated to web marketing and e-commerce professionals enables us to assert our position as Europe’s leading G-Local Digital Partner : we think globally and act locally. Ranking Road provides services of search engine optimisation, marketplaces, PPC campains as well as web analytics, for international players. Conference : Roland Debrabant (France) will speak on April 25 from 11:35 to 12:20 on the theme “Developing your SEO internationally to conquer new markets. Workshops : Ranking Road experts will speak every two hours at the Ranking Road stand about main issues in digital. Free pre-audit : Would you like to make an appointment at the show ? Do not hesitate to contact us on our online form and indicate if you would like us to carry out a free pre-audit of your site. SEO Clinic : You encounter SEO problems and you want to discuss them? Consult our specialists free of charge to establish a live diagnosisat the show. Register and meet the experts who make Ranking Road the first G-Local Digital Partner in Europe. The opportunity to talk about your international visibility with international experts committed to the performance of their market.